A Walt Disney World vacation can be expensive, especially for families. Between airfare, park tickets, dining, accommodations, souvenirs, and everything else, your trip to the happiest place on earth can turn into a huge hole in your wallet. However, you don’t have to completely wreck your family’s budget just because you want to take your kids to meet Mickey and Minnie. Living in Florida and growing up traveling to Disney often, made me naturally want to bring my own children to the parks as well. However I could not afford to spend thousands of dollars on each vacation. So I found ways to experience the magic while keeping my budget in check. With a little research and some careful planning, you can save money on everything from your airline tickets to your park passes. 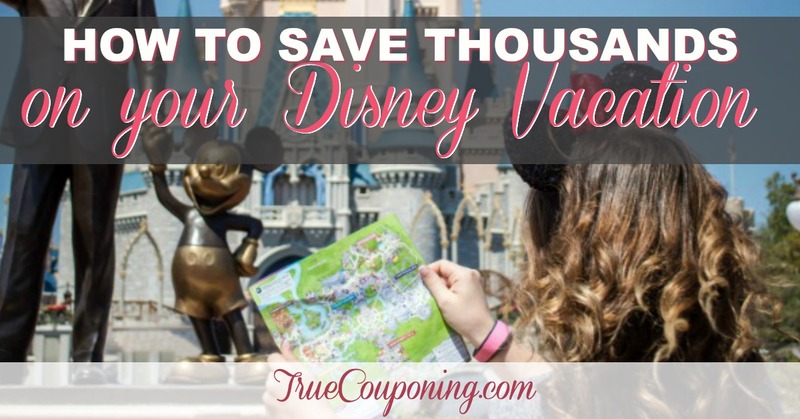 We’ve had our share of money-wasting mistakes, and frugal successes at Disney which is why I’m sharing with you my 20 best tips for how you can save thousands on your Walt Disney World vacation! Ready for a magical trip to the Happiest Place on Earth… without breaking the bank? Great! Let’s start planning! First of all, in order to get inside one of the Disney parks, you are going to need tickets, right? Disney Tickets are a hot commodity, and that means that unfortunately, fraud is rampant with purchasing discount tickets. Every single legitimate website we looked at for discounted tickets were more expensive than purchasing directly from Disney World itself. So I suggest just buying them directly and using Discounted Gift Cards to do so. Furthermore, when comparing prices, remember that Disney doesn’t include the Florida sales tax in their listed prices, whereas some of the other sellers do. 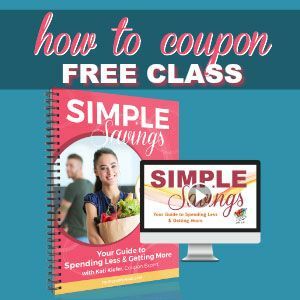 Did you know that Sam’s Club offers discounted Disney Gift Cards? You can get a pack of three $50 gift cards ($150 value) for $143. You can use them to pay for your tickets, hotel room, souvenirs, food in the park, etc. Cardpool, CardCash or Raise are all Discounted Gift Card sites that sell Disney Cards. If you see one in stock, you better scoop it up fast because they don’t come around all that often (which is why I have these other options listed here). My parents have AAA and I looked up the price comparison. Buying through AAA will save you on average $8 per ticket (per day). You can save up to $25 on the highest level Annual Pass. If you are not a Florida resident, do not try to purchase the Florida resident discounted tickets. You will have to show your ID when you try to enter the park. If you are not a Florida resident, you will end up having to pay the difference before you enter at the gate (and the worst part, you look like you are trying to cheat the system). Disney World vacation tickets are non-transferable. Once your ticket has been partially used, they are tied to your unique fingerprint. Therefore if you end up buying a ticket that was partially-used or counterfeit, Disney won’t be able to help you. Plus, you’ll have to pay full price for tickets at the gate. The more days you buy, the less it costs. Consequently, if you purchase a 3 or 4 Day Ticket, it can get as low as $53 per day. However, if you know you are going to go on a Disney World vacation 3 or 4 times over the course of a year, then it could be cheaper to look into an annual pass. My family homeschools, so we have the option to take off on a Friday (or Monday) and go to Disney during the week. Therefore we can get a “Weekday Select” Annual Pass for around $250 each, which is the cost of buying (2) regular admission tickets. So, if we are going to go there more than (2) times, we would be saving money by purchasing the Weekday Select pass. Members of the US Military (available to active or retired members of the U.S. Military or their spouses including the National Guard, Reservists and the U.S. Coast Guard “Eligible Service Members”) can get discounted tickets for up to six family members. They offer a promotional 4-Day or 5-Day Ticket (which includes a Park Hopper for free). 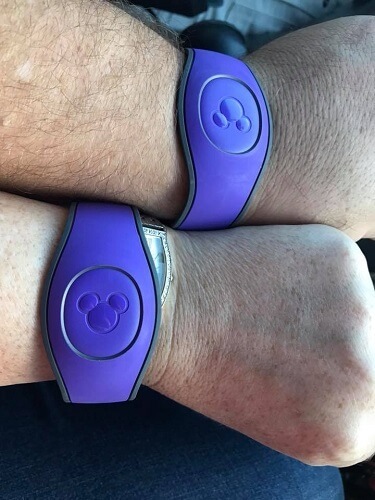 These special tickets need to be purchased at their nearest military base or at the “Shades of Green” Golf Course Resort on the Walt Disney World property itself. Especially noteworthy, Disney Annual Passholders who are deployed or living/staying abroad for certain lengths of time have the option to put their pass “on hold”, then reactivate it when they return to the U.S.
No need to pay for months of a pass you can’t use go to waste! Adding a “Park Hopper” option to your ticket allows you to get into multiple parks in the same day. It costs around an additional $10-$30 per ticket per day. While it might seem like visiting more than one park in a day will get the most for your money, the opposite is true in reality. Each park is filled with a load of rides and shows, you will not need to leave to go to another park. The only time we ever make it to a second park in one day is if we are going to see the fireworks display at a second park… and that is NOT worth an extra $30. Also, don’t forget, it takes time to travel between parks. Using Disney Transportation, allow an hour to wait, load, ride, unload, walk in, inspect bag and get into another park. Peak season and holidays might seem like the best times to go on a Disney World vacation, yet it’s actually the opposite for saving money. Parks are crazy and busy during peak season times! Therefore, if you can go off-season you’ll save for sure! Plus the parks will be less crowded! If you go during peak season, you will find yourself fighting for dinner reservations, waiting in two-hour lines for every ride, and paying top dollar for everything. Therefore, staying at a hotel on Disney property during peak season can be the single biggest financial mistake in planning your trip, costing hundreds more. Hence you will be able to score a crazy great deal with a special room rate in the off-peak season. Choosing the resort at the right time and planning in advance will save you the most. Therefore, planning (or being willing to go at the absolute last minute) is key to getting the best bang for your buck. Premium Season: (Spring Break Time) March 19 – April 10. This is the most expensive (and most crowded time of year). Don’t expect any discount offers for these dates, but do expect long lines almost everywhere. Summer & Holiday Busy Season: June 6 – August 13, the week of Thanksgiving, and the two weeks before and after Christma. Least Busy Season: January 1 – 31, September 1 to October to Mid November. This season is your best chance of finding deals, short or no lines, discount codes or coupons and maybe even some FREEbies being thrown in to lure you in to stay with them instead of an off-property option! Friday and Saturday nights have the absolute highest priced rates. So, if you can plan to have off from work on a weekday, staying overnight on a Sunday, Monday, Tuesday, Wednesday or Thursday will yield your biggest savings. 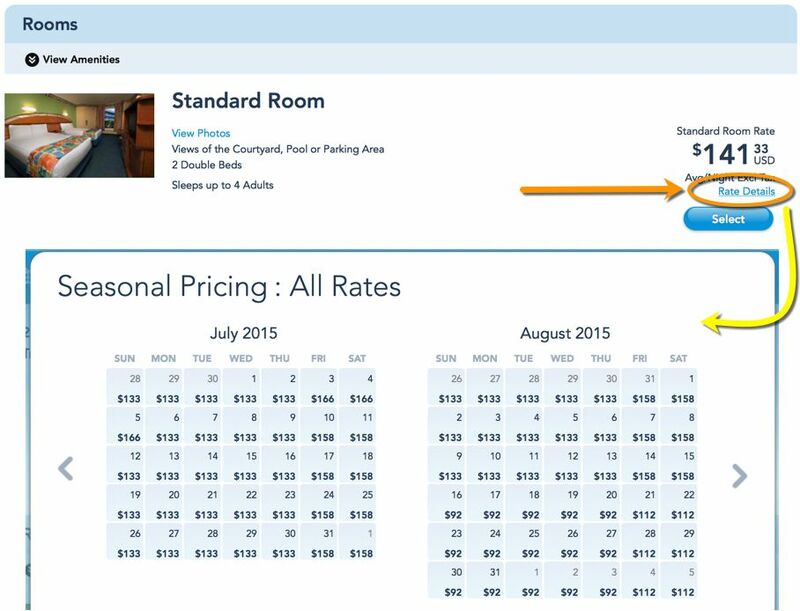 Also, did you know you can look at the room rate, per night, by month! As you are browsing for the room you’d like, over near the price, choose “Rate details” and then scroll through the monthly calendar to see the rates you’d like to pay. 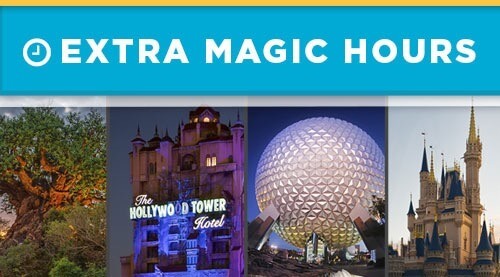 One thing to note is that guests who stay at any one of the Disney hotels also get access to “extra magic hours”. These are blocks of times when Resort Guests ONLY gain access to certain parks. It will either happen before or after the parks are open for the rest of the world. So then you will have a fighting chance to actually ride ALL those rides. The magic hours are easy to find on the Disney Park Hours calendar. 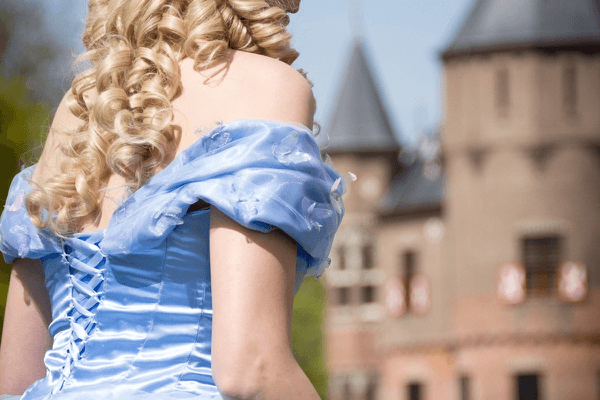 While Disney hotels have immersive themes and some cool perks, they are usually WAY more expensive than any of the non-Disney owned properties. If you are pinching pennies, one of the best ways to cut back is by staying at an off-site hotel. Many off-site hotels offer shuttle services and some even offer character breakfasts. When we have stayed off property for the kids’ sports games and for vacations, we have stayed at off-site hotels and had a great time. You will be spending most of your time in the park anyway or at the field. So the room you stay in won’t make a big difference. Once we stayed at a regular Wyndham hotel near the Boardwalk and were surprised to find gift shops, a character breakfast, a fantastic pool, and even a shuttle to the park! This hotel was cheaper than even the value resorts! It made for a wonderful Disney World vacation! New in 2018, the hotels in the Disney Springs Resort Area are included in the Extra Magic Hours! So this is a great perk to staying close to Disney but still off-site (so potentially cheaper hotel rates). Another option is to check Airbnb for low-cost rooms near the parks as well! The nice thing about using an Airbnb is that you’d have a full kitchen to help reduce the cost of meals. Obviously staying on Disney Property is going to be the most expensive option. But staying “off” Disney properly can help with your budget’s bottom line and there are LOTS of super great options. Think about the fact that you might be spending most of your time “inside” one of the parks most minutes of every single day. Hotels near the parks offer discounted rates to attract frugal tourists. Check Hotels.com, Priceline and Kayak for potential deals. Just be careful to read real reviews of the hotels. If you plan properly (in advance and in the “off” season), you could get one of the Disney “Value” resorts (such as the All-Star Movies, All-Star Music and All-Star Sports Hotels) for nearly the same price as an “offsite” hotel. You can expect the hotels near Disney to cost around $70 per night. And I regularly see “onsite” rates in the off season as low as $79. Are you a camper? Could you be for a few days to save money? I never thought I could be a camper… but you blow up a double air mattress and let me roast marshmallows and I’m actually a happy one! 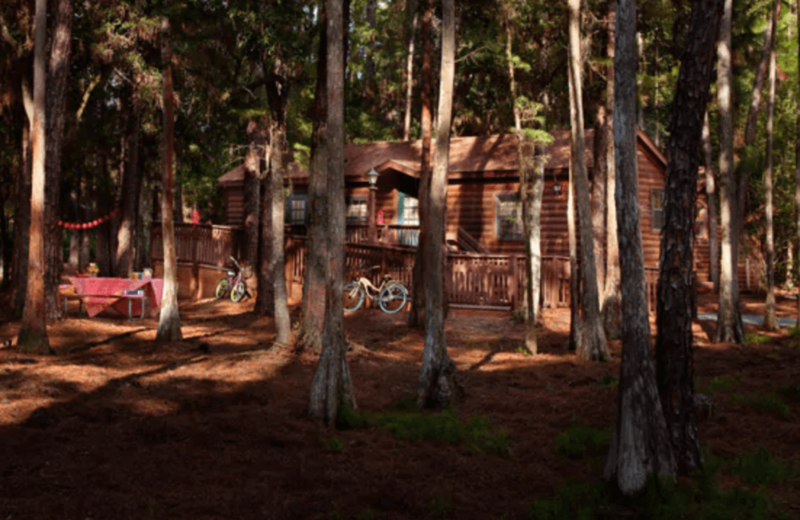 Fort Wilderness is Disney World’s campground. Two tents are allowed on each campsite with a maximum up to 10 people. Think about splitting the cost with other family members! If you really want to save big on your next Disney World vacation, camping allows the added advantage of making your own meals on the charcoal grills they provide right at the campsite. 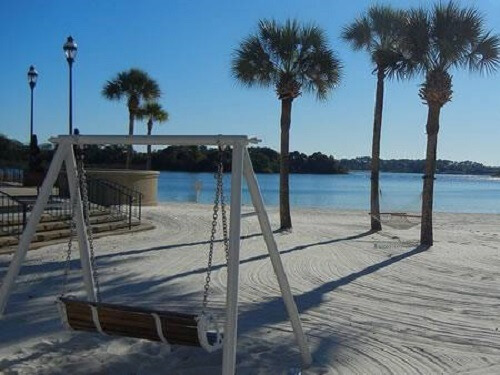 If you do some appropriate planning, you can get a reasonable $50/night rate (see item #4 above to check rates), and fantastic amenities (clean bathrooms & showers), this is a great option for big families who want all the “Disney Magic” with WAY less cost. The campground is also so close to the Magic Kingdom park that you can take a boat ride directly to the park. That means no extra travel frustrations! Note: The campground is BIG (over 800 campsites and cabins) so you’ll need to reserve early to get a spot close to the action or be prepared to do a lot of walking from your site to the boat ride to the park. If your heart is absolutely set on staying in one of the premium Disney Hotels (such as the Polynesian, Grand Floridan, Contemporary, Beach Club Villas or Boardwalk Villas), you might want to rent DVC Points from a Disney Vacation Club Member. Disney’s Vacation Club members pay to have preferential treatment to stay at the BEST accommodations for the next 40-50 years. 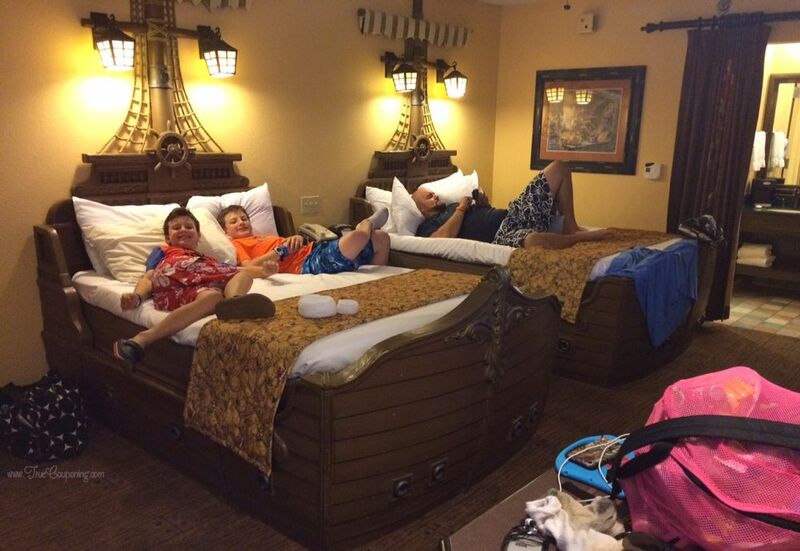 It’s the ultimate (Disney style) timeshare club…. and it’s a big deal. I can’t afford to become a member at this point in time, but several of my friends have them. Since DVC members have extra “points” that they won’t be able to use in the allotted time frame, they can “rent” their DVC points out. Currently the hotels are $14 per point and the rooms are at least 10 points per night. Remember, these are the premium level hotels, so you are still going to spend more money per night. The DVC system can be confusing. Therefore, if you’d like to know more, I like this site to learn more about How DVC Points Work. One of the really nice “perks” about Disney is that they allow you to bring soft sided coolers inside the park with you. Consequently, that means you can really save a LOT on not having to buy food inside the parks. First of all, bring your own bottles of water (frozen if you want to keep other food cold) in your backpack. Also, if you don’t want to carry everything (or don’t have a stroller any longer) everyone can get water for free! Walk up to any counter service location and ask them for tap water with ice. They will gladly give it to you. This can be a savings of $140 for the week. Since a bottle of water costs $2.50, and if everyone in a family of four requires two bottles of water per day, which works out to $20 per day; after a seven day vacation that totals $140 in water alone! Pack easy to manage snack foods like granola, fruit, sandwiches and snack bars. There are loads of extra tables to sit at and pull out your food. We’ve never felt uncomfortable. We bring a small soft-sided cooler. You are allowed to bring in a cooler so long as it is smaller than 24″ long x 15″ wide x 18″ high. That’s plenty big for a day of food, trust me! One really smart thing to do is bring food items along that are sold IN the park but are a lot cheaper to bring from OUTSIDE the park. Sometimes I find that we have brought food, but it’s not as yummy as the food we are smelling around us. 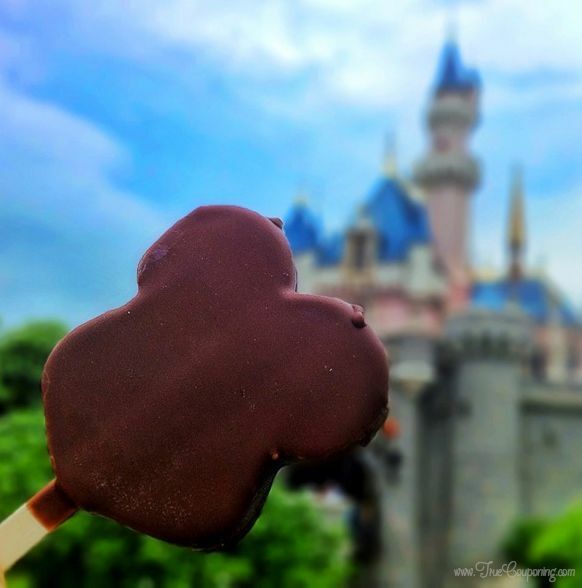 Therefore bringing similar items to what they sell helps satisfy those cravings and gives you a cushion in your budget to splurge on the things you cannot bring in with you (such as an ice cream bar shaped like Mickey Mouse). If you book accommodations that have a free breakfast (Hampton Inn has a good one) fill up there before heading to the parks. Also snack throughout the day on the things you brought with you, and have your dinner outside the park. Sometimes we will hit the park in the morning, take a break in the afternoon (and eat outside the park) then rest up a bit before going back to the park for evening shows and fireworks. If you can plan to eat at a restaurant inside one of the parks, you can get early access to the park and do a character meal for breakfast! Breakfast is usually the cheapest time to enjoy a character meal, and it’s a magical way to start the day. This is a great time to get autographs and pictures with characters. Usually the meals are buffet style, so you can fill up and make that your “large” meal of the day (which means you might want to choose it for lunch). Utilize the snacks brought with you for the rest of your day. Or eat that big meal and then eat smaller “snacky” foods for the rest of the day, a giant ice cream cone only costs around $4. That won’t break your budget for sure! Disney is known for their expensive meals, but generally, the size of their meals are generous and can easily be split between two people. The photo above is a noodle dish at Jungle Navigation Co. Ltd. Skipper Canteen. It was around $14 and we easily split it between two of us. We often split a meal between one adult and one child. As a result, our family of 6 buys three meals to split and we drinks tap water with ice (and lemon). Plus we eat the snacks we’ve brought along. 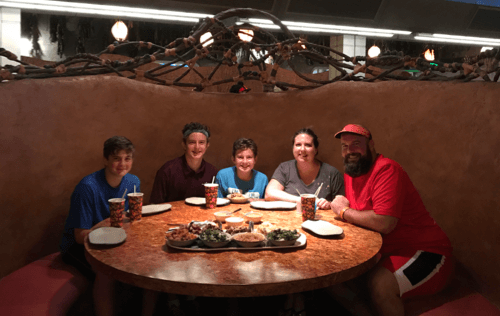 If you are staying in a Disney resort, you have the option of utilizing one of the four Disney dining plans. They work using a “point” system that gives you a certain number of meals per person per day of your stay. The points can be used until midnight on the day you check out of the resort. • “Quick Service” dining plan includes 2 counter service meals and 1 snack per person per night and a refillable mug. Cost approx $41 per person per day. • “Plus” dining plan includes 1 table service meal, 1 counter service meal, and 1 snack per person per night and a refillable mug. Cost approx $63 per person per day. • “Deluxe” dining plan includes 3 table service or counter service meals and 2 snacks per person per night and a refillable mug. Cost approx $114 per person per day. All the dining plans work at nearly every restaurant on Disney property, including the Downtown Disney shopping area (with specialty restaurants such as Rainforest Cafe). The meals include a fountain drink as well as dessert, and my family typically does not get those for a normal meal. So unless we are planning a special “Table Service” restaurant for a fun celebration (happy birthday!!) then they are more per day than I want to pay. When we can swing it with our budget, we do the Dining Plan for our big vacations. My boys love that they can get a $50 dollar steak if they want to at the table service meals. We often will choose a buffet such as the Biergarten Restaurant in Germany at Epcot. We love that they can fill their tummies to the brim and it still costs us one price that we’ve already paid for. 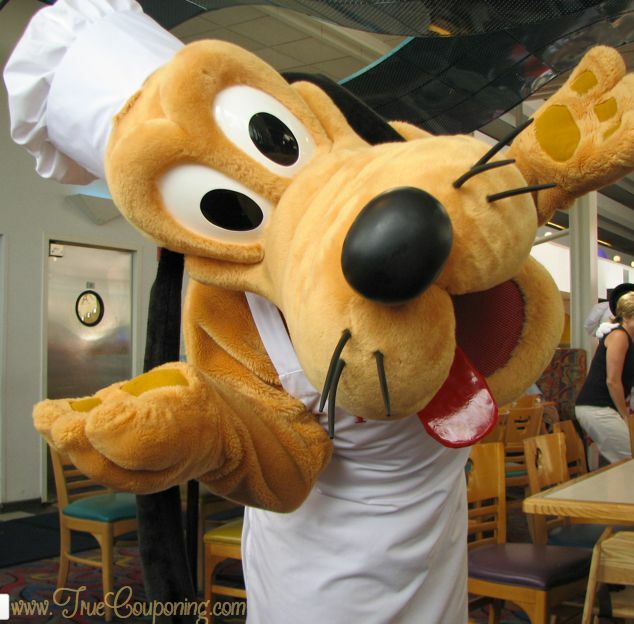 I’ve got an article with more details on the Disney Dining Plan here. And then take the Disney Transportation (aka buses) to the Disney park you were headed to for the day. This will add around an hour to your trip. So set up your Fast Passes properly and plan accordingly! Parking is $20 at each park. However, it is free for guests staying in any of the Disney World resorts as well as for annual passholders. Make your first stop as you enter the park, the Guest Services building (this is called Town Hall at the Magic Kingdom park) when you arrive so you can pick up FREE buttons to wear during your visit. 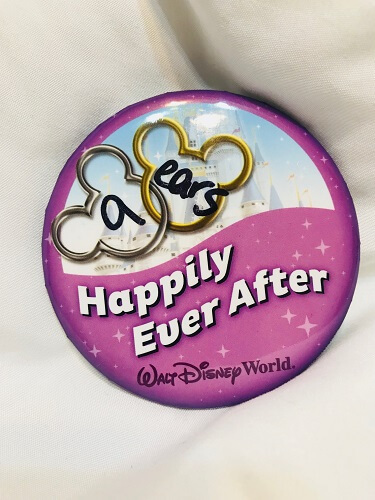 They have separate celebration buttons for your “1st Trip”, “Birthday”, “Anniversary”, “Reunion”, etc. You will love the subtle “perks” they give you while visiting the parks. For example, the Disney Cast Members will all wish you a Happy Birthday, or Anniversary and might give you (and your party) preferential treatment such as front row seats on rides. It definitely adds a little more “magic” to your visit. Plus it’s a FREE souvenir you’ll cherish from your magical Disney World Vacation! Get another fun wear out of that Disney Halloween costume by allowing them to show up at the park already dressed as their favorite princess (or Peter Pan). If you wait to buy character outfits in the park, you could be out $50-$100 per outfit. 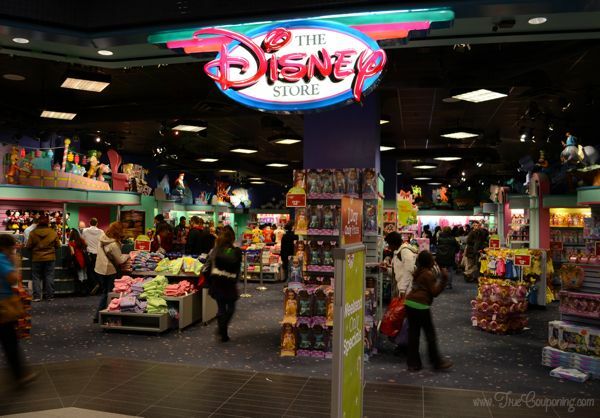 Instead, buy them from Halloween stores or from Amazon before you are on your Disney World vacation. 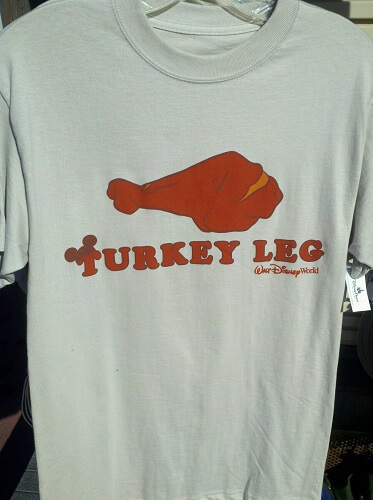 I love for all of us to match outfits, so one of my Black Friday stops is at the Disney Store for their $5 shirts. We get coordinating ones for each of us and we wear those on our Disney days. I’ve found that if my children are already wearing something Disney then they really aren’t interested in “needing” another one. If you REALLY want some new gear to bring home from your trip, stop off at a Walgreens near the park. You’ll find a great selection of almost the exact same shirts for a fraction of the price. The shirts at Disney are around $25, at Walgreens I’ve never seen one above $10. 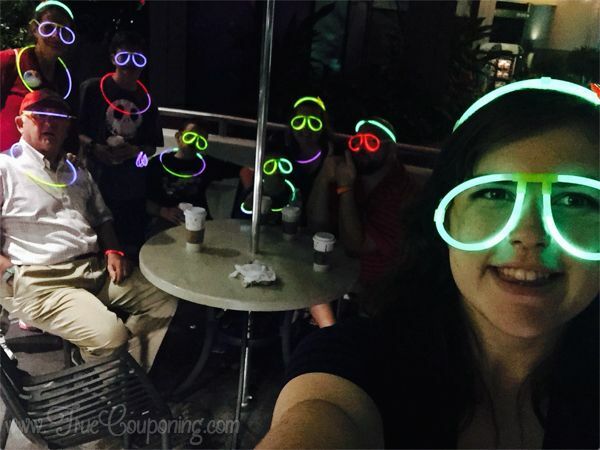 Stock up on glow sticks, bracelets and other cool items from your local dollar store before you go. That way you can save a ton of money on all of the fancy light up items Disney sells in the evening as you are walking around after dark and before fireworks begin. I like to bring a bunch of different items and pull out a different one each evening. My kids love them and then they never ask for any of the fancy Disney ones. My dollar store even had some cool Cars and Princess themed glow items (swords, crowns and eyeglasses too). Stop off at Orlando area drug stores (Walgreens even carries Disney T-Shirts), or Walmarts for less expensive Disney souvenirs. Even Publix locations have Disney items. You can find some of the same items as parks for way cheaper! Another gold mine is to look for clearance items inside the typical “tourist” Disney gift shops. Don’t buy that overpriced autograph book! Buying them in the park could put you out $20 or more! Instead, bring your sharpie and use a free park map for the characters to sign. That will be a special addition to your family scrapbook later! Or, in the days (or maybe weeks) leading up to your Disney World vacation, buy them ahead of time here, make your own, or have your kids make a fun mini-scrapbook with Disney stickers leaving room for a signature. They will have a really fun time having the characters sign the pages they made themselves. Plus the book will mean more when they look at it again later. Include the name of your favorite Disney character and the address you want the autographed photo mailed to. I would do this far enough in advance (8 weeks ahead) so your picture arrives in time for your trip. Then, pack it up and surprise the kids with an arrival gift! You can even use this as a start to have the other characters sign that same photo. Part of being a couponer is stocking up on necessary items when the price is low. Well, I can guarantee that heartburn medicine is priced at a premium inside the park versus buying it (even at full price) outside the park. Other things to think about: check the weather and bring a rain poncho (add this to your dollar store list) and don’t forget band-aids, wet wipes, tissues and some Motrin or Tylenol. in addition, sunscreen is also necessary in order to avoid pained misery on the ride home. Don’t forget other necessary medications such as asthma inhalers or allergy necessities. If possible, slip a small shirt and pair of lightweight shorts in your bag, just in case anyone has an unforeseen accident. Oh and hats or visors. It never fails that I’m miserable with the sun glaring over my sunglasses… I’d almost be willing to pay full price for one of those if I can’t see because of the sun glare! My kids would love if we spent an entire day at the pool. And since most people visiting Disney are away at the parks, the pool is not usually overcrowded. Some of the hotels even have a great slide! Plan one of your vaca-days just to relax at the resort and maybe visit the Downtown Disney shopping area. (The Lego Store has a FREE “make & take” Lego build the first Tuesday of the month). That will save you a full day’s park admission. There are two different “rides”. One that circles the loop of resorts with the Magic Kingdom Park and another that goes in and around part of the Epcot park. 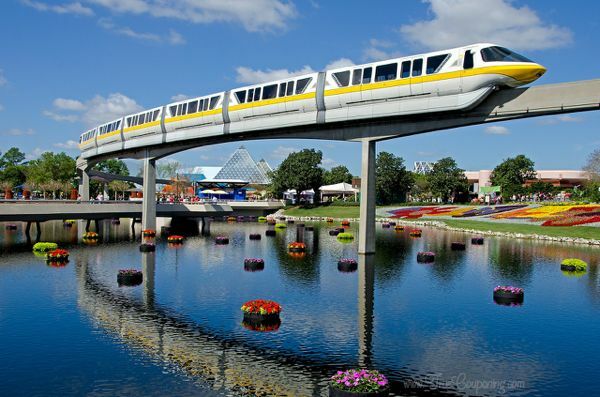 Riding the Monorail is free and a great way to relax in air conditioning and do some exploring. You’ll need to park at one of the Premium Resorts or at the Magic Kingdom so you can hitch a ride from the Ticketing and Transportation Center. The resorts themselves are beautiful both architecturally and decoratively speaking as well as educationally for the art-minded. The Animal Kingdom Lodge has a Hidden Mickey Tour (like a scavenger hunt for the mickey mouse logo). Ask the front desk for the list. If you find them all you get a fun “freebie”! Wi-Fi is now free throughout all of Disney World! Take advantage of this on your Disney World vacation to save money on your own data plan! Make sure your wifi is “on” at all times and connected to their wifi to save your data usage. Also, make sure you download the My Disney Experience App to view your photos, plan and view your Fast Passes. Or (most importantly) check Ride Wait Times plus maps to navigate the parks! 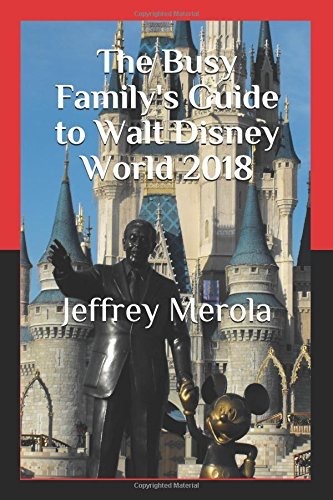 My favorite book for learning how to save time while visiting Disney world is by Jeffrey Merola. 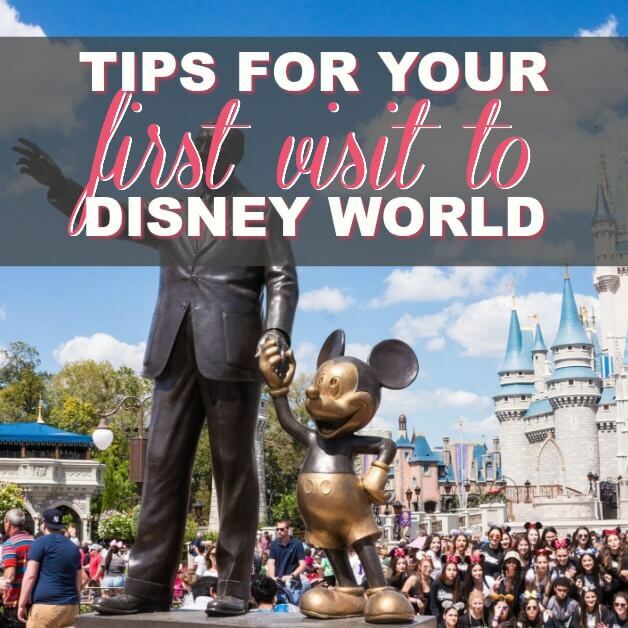 Check out The Busy Family’s Guide to Walt Disney World written by Jeffrey Merola. 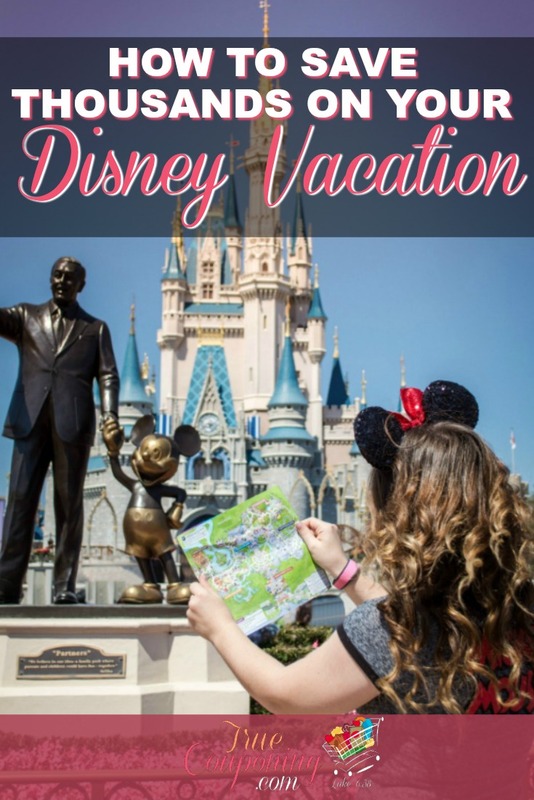 It will help any family plan a magical Disney World vacation and get them through the theme parks stress-free! 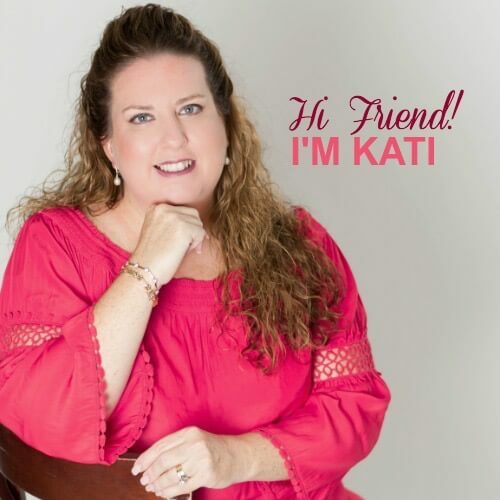 This author is a huge Walt Disney World fan, Authorized Disney Vacation Planner, football coach, husband, father, and a Math Instructional Coach in a New York State elementary school. Jeffrey has visited Walt Disney World over 260 days with children and adults 8 months old to 70 years old. He loves the theme parks, resorts, restaurants, and he loves the planning! He has previously written four other Walt Disney World guidebooks. 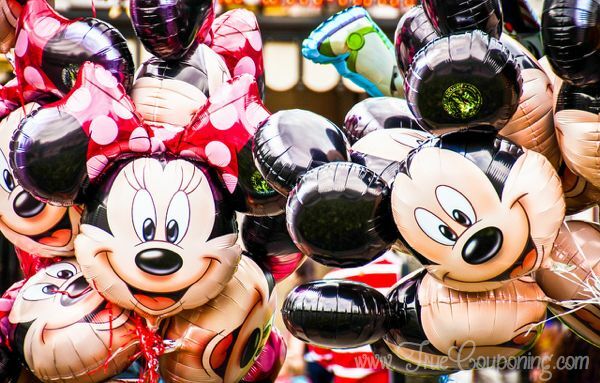 Did you know that Disney has paid travel agents for you to use? That’s right! At no cost to you, you can get help planning your Disney vacation through one of Disney’s travel agents. They have access and knowledge of the best deals out there, and they can save you time and money! From booking airfare to dining, they are the best. I’ve personally had Jeff Merola plan several of my overnight Disney stays without a hitch. He is super easy to contact and I even text him the details to get the ball rolling. That takes the hassle off of my shoulders and saves me a ton of valuable time! In conclusion, you don’t need a lot of money to be able to enjoy a Walt Disney World vacation on a budget. If you are planning a Disney vacation for your family this year, be sure to keep this post handy to reference later! 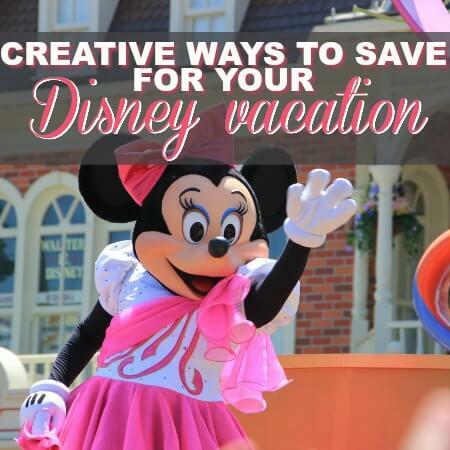 I also have more creative ways to save UP for your magical Disney World vacation here! 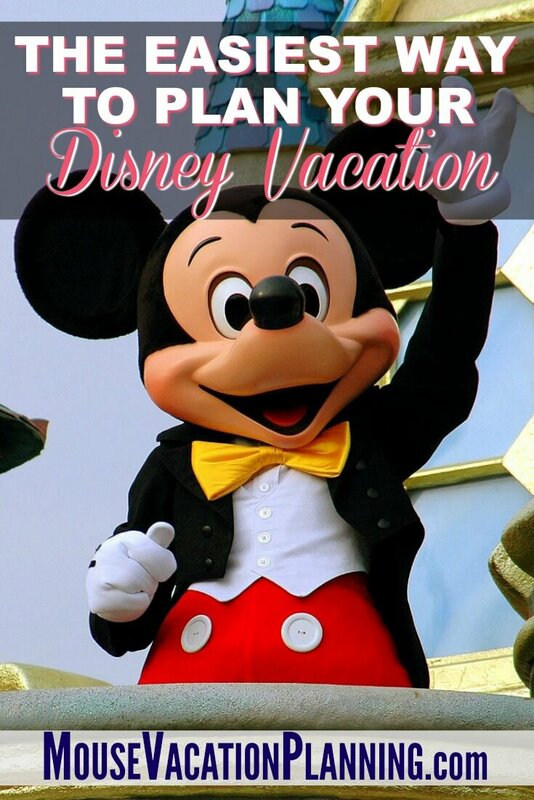 You can also get started by requesting a FREE Disney Vacation Planning DVD! 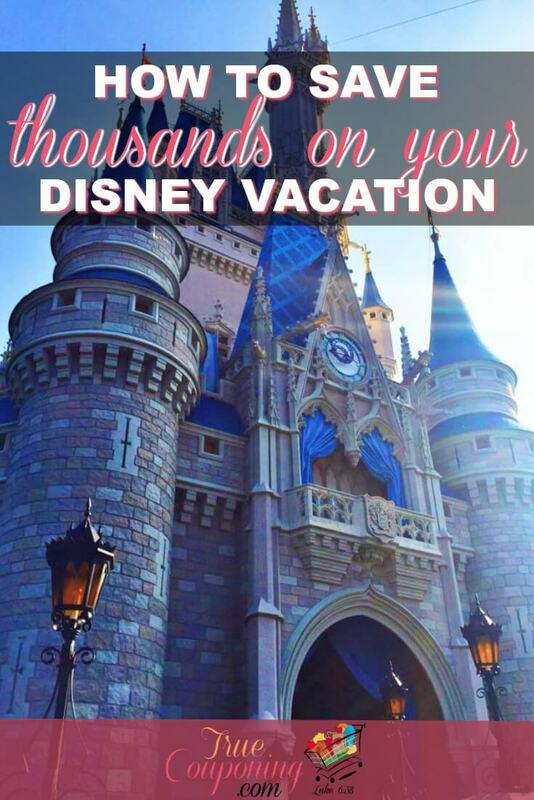 YOUR TURN: When are you planning to go to Disney? Do you have any other questions? I’d love to answer them in the comments below!